Global Retailers: Strategies of the World's Top 120 Retail Groups in Payments, Banking, Insurance and Assistance is a report and accompanying PartnerBASE™ dataset that illustrates the involvement in financial services of 120 leading retailer groups. For these, the study documents in detail their involvement in the fields of payments, banking, insurance and assistance including (where the information is disclosed), the contribution that financial services have made to group profitability in recent years. Among the 120 groups analysed, only ten had no involvement in the areas in scope and for 55 (45.8%) financial services activity can be characterised as central to their wider business strategy by virtue of their ownership of one or more captive or joint venture companies active in one or more of these fields. Prominent examples in this respect include AEON, Carrefour, Cencosud, Falabella, Grupo Elektra, Lotte, Migros, Otto, Rakuten, Ripley, Seven & i Holdings and Tesco, all of which are featured in this study. In addition, both for these and the other 55 groups, whose financial services operations are more operational or limited in nature, product partnerships are logged for each of their retail brands in the following areas: credit / other pay later cards; consumer finance; other banking products (i.e. mortgages, personal loans, savings accounts); insurance and assistance (i.e. accident, dental, health, household, life, motor, pet and other insurance policies plus assistance services); and online payments (including relationships for online accounts). In total, this research covers over 500 individual retail brands belonging to the 120 groups across 45 countries with consideration of close to 1,000 distinct retail operations in total, including those of brands that are present across multiple countries. 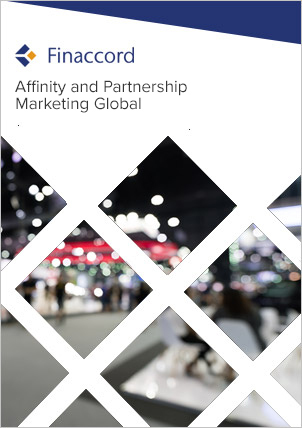 gain access to a thorough analysis of the involvement in and partnerships for payment, banking, insurance and assistance products of 120 of the world’s leading retail groups – how does your organisation seem to be positioned relative to its rivals? appreciate the contribution made to total group profitability of profits from financial services for retail groups that have made involvement in financial services a strategic imperative. For further information about this report, please click on the links at the top of this page for the table of contents and report prospectus or e-mail info@finaccord.com.